When Don Arden ditched United Artists and signed Jet Records' marketing and distribution rights up with CBS in early 1978, it initially led to the Electric Light Orchestra back catalogue of albums from "On The Third Day" through to "Out Of The Blue" being reissued and reassigned new JETLP prefixed catalogue numbers, as had been the case during the brief Jet/Polydor years. Thereafter most Jet/CBS albums were JETLP save for a few exceptions including the quartet of JETLX prefixed LP's released featuring ELO which were "Discovery" (JETLX500), "ELO's Greatest Hits" (JETLX525), "Xanadu" (JETLX526) and "Secret Messages" (JETLX527). Quite why all four records were prefixed JETLX with two released in gatefold sleeves and two in single LP sleeves (as many fans will recall) is unknown but it is interesting that they all breached the Official UK Album Chart Top 10. 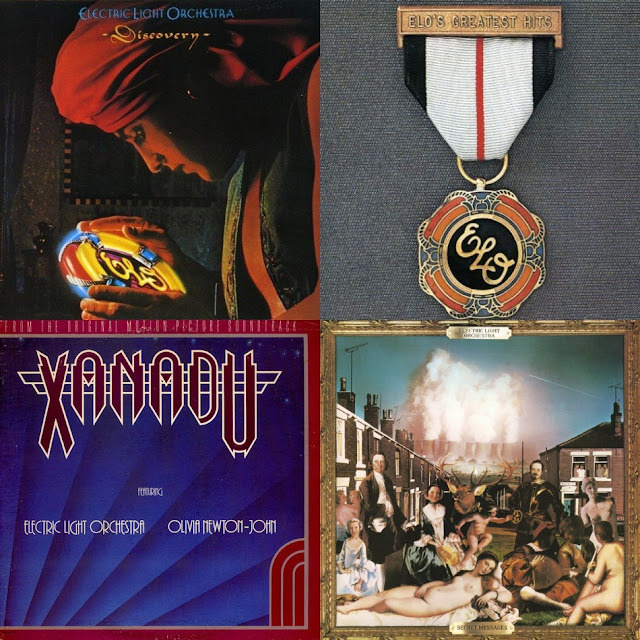 It's also of note that ELO's other UK #1 album "Time" (JETLP236) - released between "Xanadu" and "Secret Messages" in 1981 - did not receive the JETLX prefix whereas a "Secret Messages" including "Beatles Forever" in its originally intended 2LP format would have been JETDP402. If nothing else, ELO's JETLX releases reflect the phenomenal popularity of ELO during the years 1979 to 1983 as Birmingham's best reached their commercial peak at a "Time" when vinyl ruled.